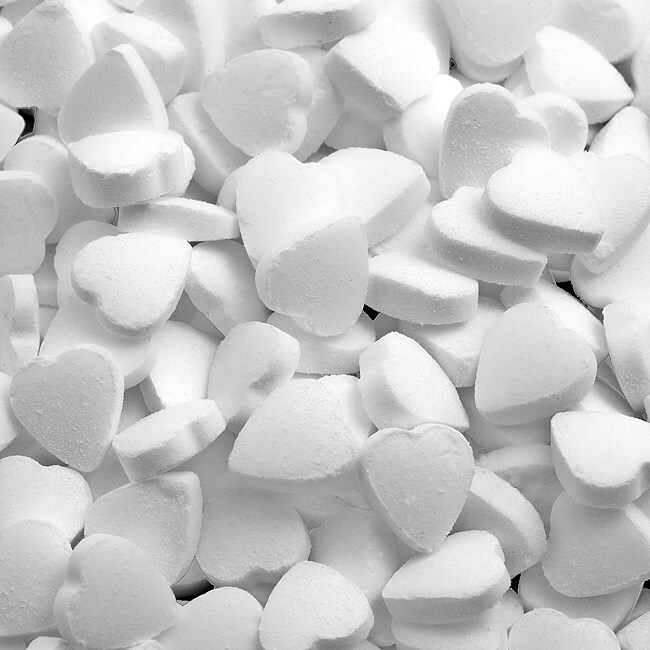 DescriptionTiny white sugarfree Mint Hearts with a fresh minty taste supplied in 500gram bags offer a great alternative option to chocolates in favours. Each pack contains approx 500 mint hearts. Tiny white sugarfree Mint Hearts with a fresh minty taste supplied in 500gram bags offer a great alternative option to chocolates in favours. Each pack contains approx 500 mint hearts. Ingredients Sorbitol E951, Peppermint oil, Menthol, Eucalyptus Amoras.